Fernando Martinez and his OLÉ Restaurant Group open their newest restaurant today at 10640 Meeting St. in Norton Commons. The two-level space will have, on the first floor, a full bar, restaurant and small marketplace stocking mostly Italian specialty items such as charcuterie, meatballs, cheeses, olive oil, bread and fresh pasta, beer, Italian wine and liquor. 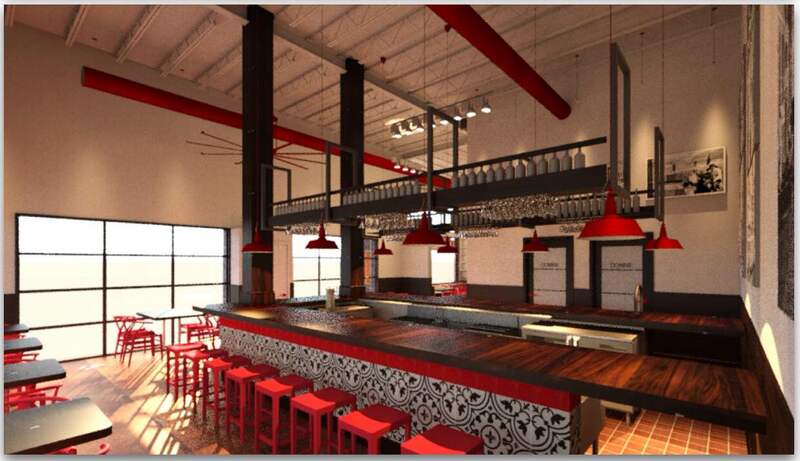 On the mezzanine level will be additional dining space. Come spring weather, there will also be outdoor dining. Head chef at the new restaurant will be James Swihart, who cooked at a prior Martinez business, Cena, which has recently closed. Several of Cena’s dishes will be featured on Mercato Italiano’s menu. Sous chef will be Serge Katz, formerly of Vincenzo’s. The restaurant will open with dinner hours from 4 to 10 p.m., with lunch service being worked in later in the spring. Following the recent opening of Citizen 7, which serves South American street food, Mercato Italiano brings to nine the number of restaurants and bars in the Norton Commons village in Prospect. Next on the plate for Martinez and his group will be the conversion of the Joe’s Older Than Dirt property in Lyndon into Red Barn Kitchen, a barbecue restaurant. There is no firm word on when that business will open. Next articleAre you set for Valentine’s Day dining?